Can’t stand the heat-get out of the kitchen! That expression holds true when you’re in the heat of canning. Hot steam, hot jars. Listening for the “pop” of the lid as it seals to the jar-your efforts proved successful. Pantry and freezer are packed. Canning and preserving are like inventory days-you stay til the job is done. Hours upon hours inspecting, coring, skinning, seeding. Fingers looking like prunes. We survived the tomato frenzy. It’s onward ho! On to more fun and exciting things do to around the homestead. We are taking advantage of a great growing season in Georgia. Hot, humid, with just enough rain fall. This year we are experimenting with continuous gardening. As one section of the garden withers away, it is cleared and prepared to receive more. Wanting more potatoes we’ve planted sweet potatoes in the raised crib. In the crib is also a white potato plant I wanted to see if I could continue growing more russet potatoes and planted a spud. The garden is split into 3 sections. From our winter planting the lettuce and spinach got out of the heat. Cleared and prepared to receive a second planting of corn. The cucumber and peppers are continuing to produce from the spring planting. 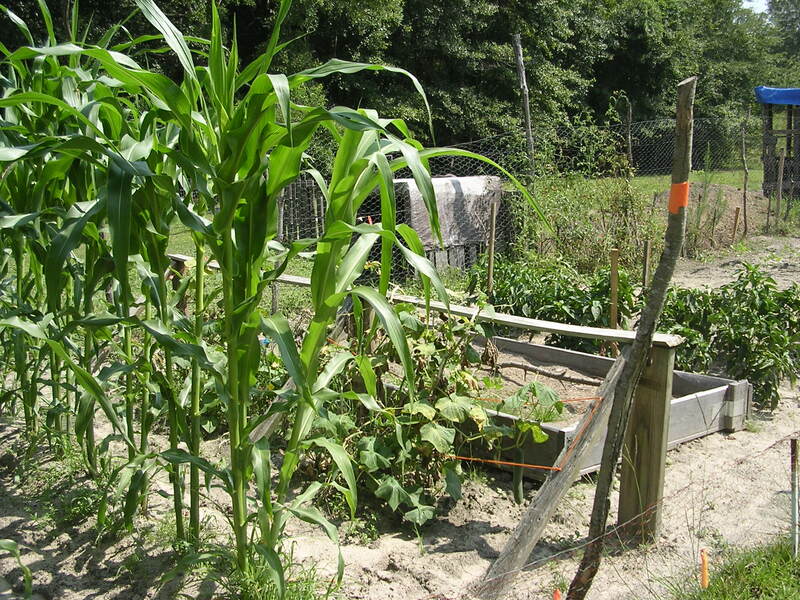 We share our corn with the goats and horses and it is a crop which will continue with the heat. 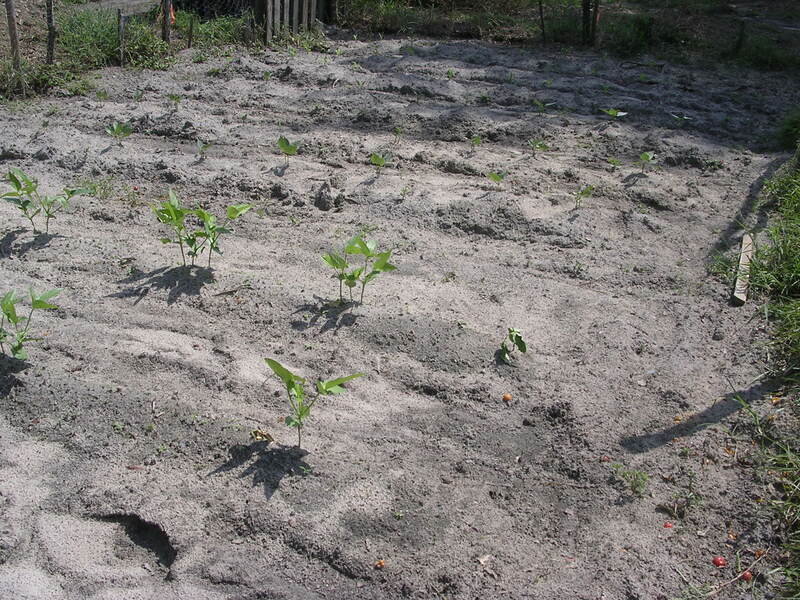 This is our first continuous planting. Our second continuous planting was in the spring section of Blue Lake beans and the spring planting of corn. 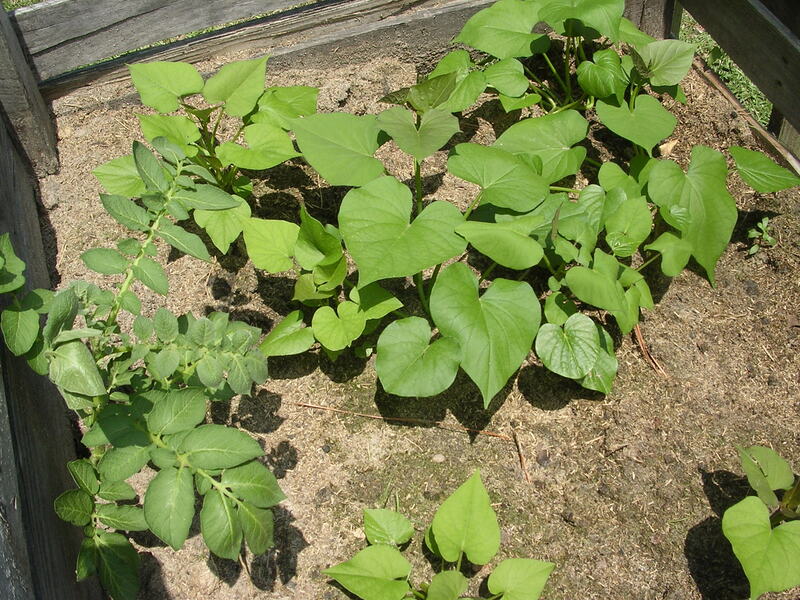 Here we have new plants of zipper cream peas, butter beans and a 3rd planting of corn. This is our final section of the garden which has been cleared of the tomato plants. We are in the process of clearing and preparing to receive more butter beans. With this final section planting it should take us into September/October and ready to receive our cold hardy vegetables of broccoli, cabbages. 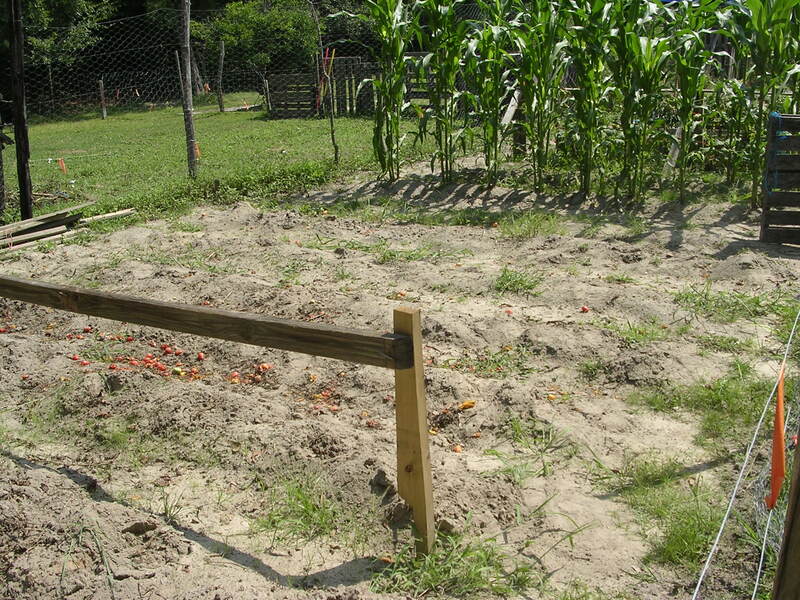 This will provide us with a larger variety of vegetable over the winter months. That’s the plan, prayers for good weather and nourishing rains.